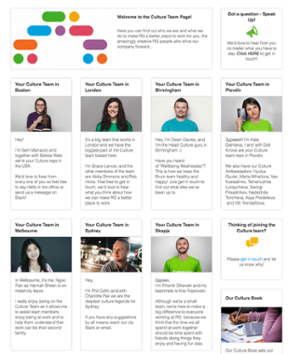 Want more WOW for your employee communications? 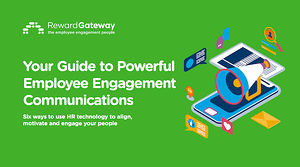 Discover real-life examples for reaching your employees, along with a guide for tailoring your employee communications strategy to create a WOW factor. As we’ve been known to say, open and honest communication is one of the building blocks of The Engagement Bridge™ and key to creating and maintaining an engaged workforce. So from time to time, I like to reinvent boom! 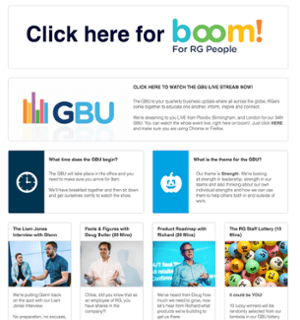 with new looks, such as when it’s time for our quarterly all-hands meeting (the GBU - Global Business Update) or if we’re announcing something huge. 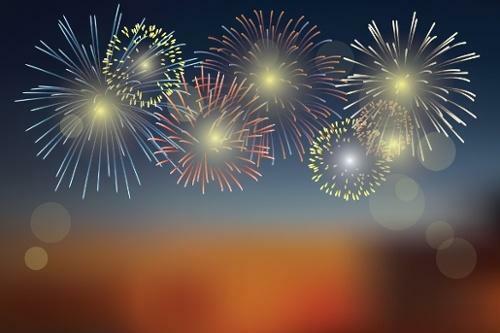 Want to build excitement and buzz around the launch of a new benefit or a big event? A teaser campaign using the SmartHub® functionality is the perfect solution. I mentioned having a boom! takeover earlier, but you can also do teaser campaigns using the content tiles and change it up. 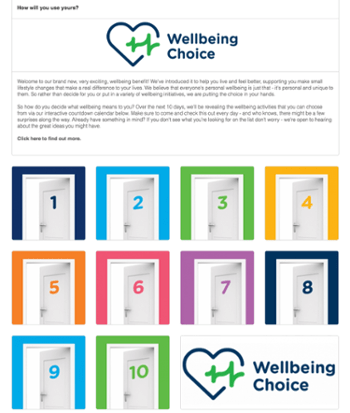 For the announcement of our new wellbeing benefit, we based the campaign on an advent calendar theme to incentivize the user to come back each day for the next installment. We saw 80% engagement with this fun tactic! 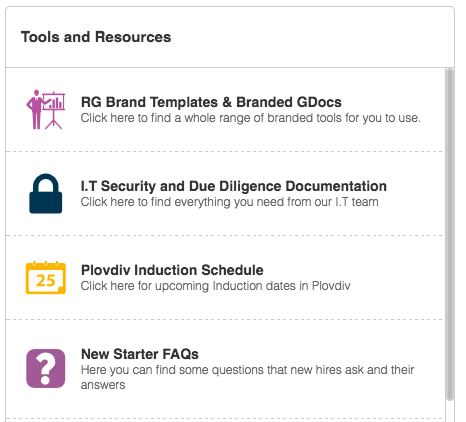 One really important asset we host on our platform is our recognition tools. Our team sends dozens of eCards a day to thank their peers for a job well done, a birthday wish or just to say Stay Awesome (one of my favorites). 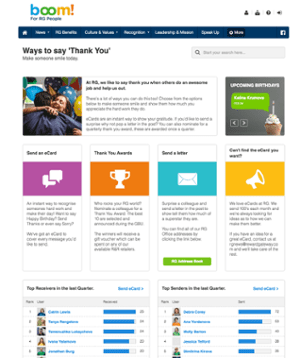 Being thanked is great, and hosting our eCards on our platform helps give easy access to spread more thank yous and appreciation throughout our organization. Plus, we’ve even added a scoreboard for who has sent and received the most eCards for those with a little competitive spirit. There always seem to be more content to share than employees have patience to read, so how do you get it across? This page makes lots of content accessible in simple boxes, enabling a a great postbox of material to be accessible by anyone every day. 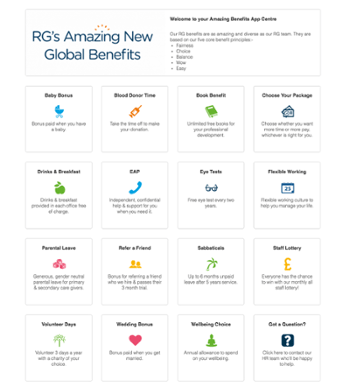 We use this format for our benefits, as it can get pretty complex to explain. From new employees to those that have been here for five years, this page receives a lot of traffic! For organizations that have several different offices or product lines, this format would help showcase a variety of topics. In a spread out workforce, it can be hard to get to know absolutely everyone if you’re not working side-by-side with them every day. If you want to showcase a team, what they’ve been up to, or explain the roles and management structure of certain teams, the platform can help you do that as well. You can easily swap out photos, content and add in extras like a welcome video from the team lead or even a video of the latest post-work get-together.